After eating what seems to be equivalent to my body weight in sardines over the last several months, as I attempt to find a winner in the sardine tournament of champions, I finally came to a conclusion on what is the best sardine in the state of Maine. While my original plan had been to offer up my final choice of champion on 9/23/11, I have decided that you as my audience have probably had just about all you could possibly take on the topic of canned fish. So without further comment here are the final results of the Sardine Tournament of Champions. Semi Final Winners of Round 1 and 2 (Bar Harbor VS King Oscar) - A champion is crowned and it is BAR HARBOR! 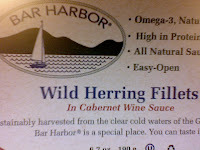 A clear winner the BAR HARBOR sardines are a rich and flavorful with a pleasant smoky taste. 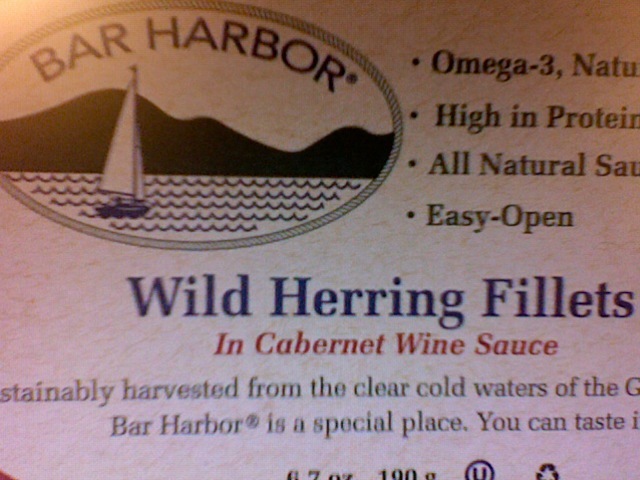 In a recent trip to the grocery store I noted that they are additionally available in a variety of flavors including wild herring in cabernet wine sauce, wild herring fillets with cracked pepper and the classic naturally smoked wild kippers. Next time you are in the supermarket swing down the canned meat isle and give these fish treats a try!